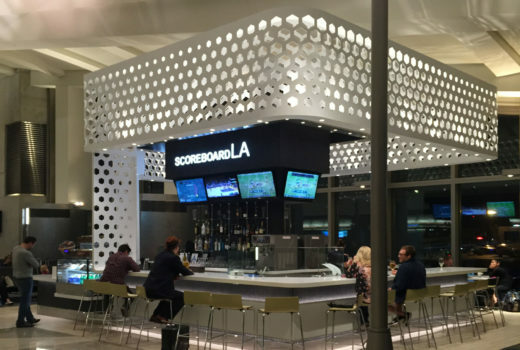 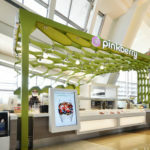 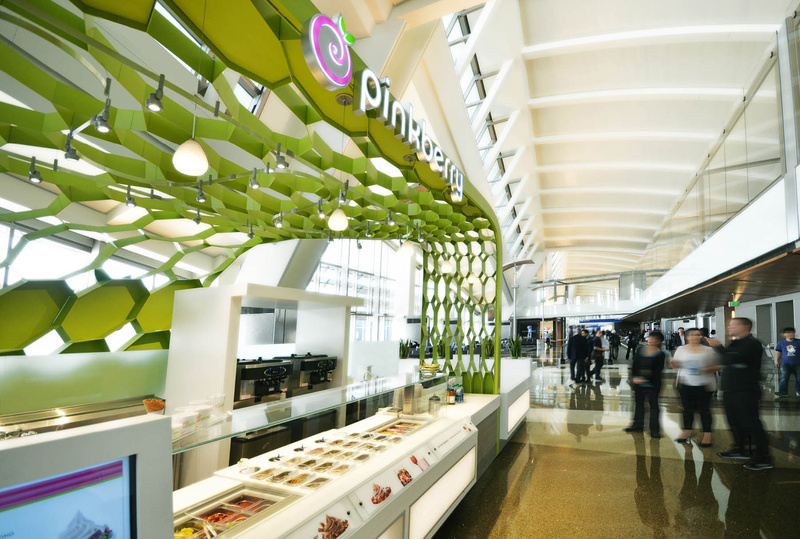 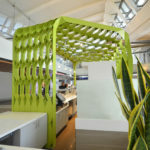 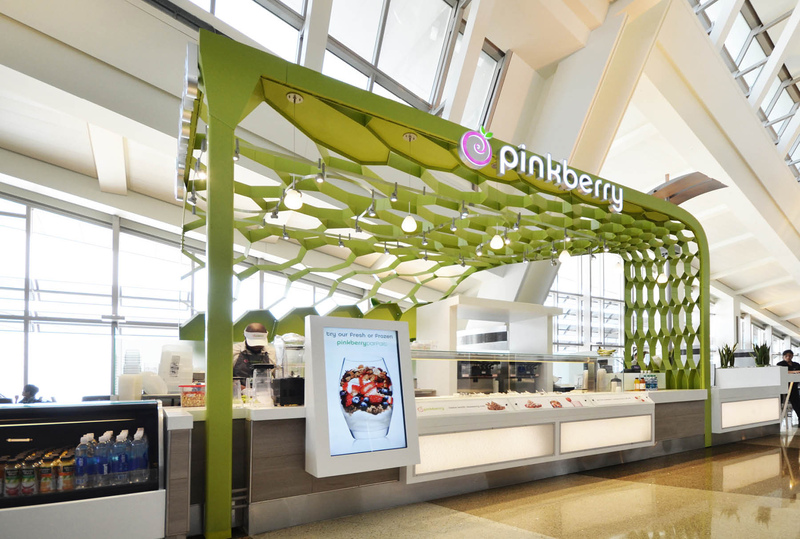 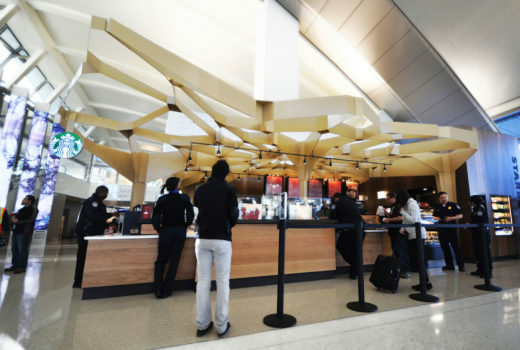 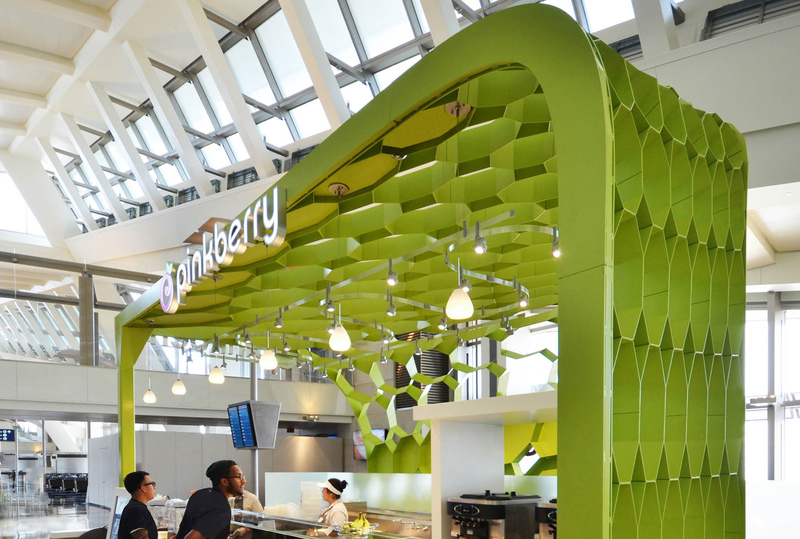 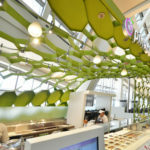 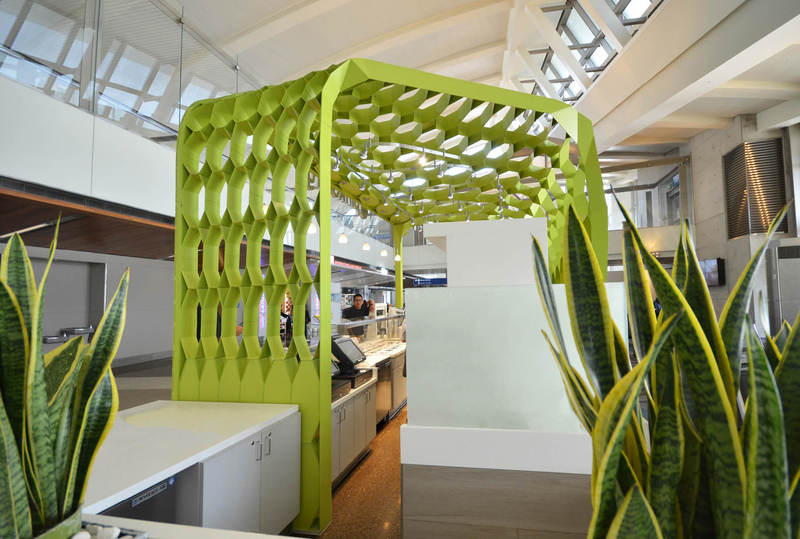 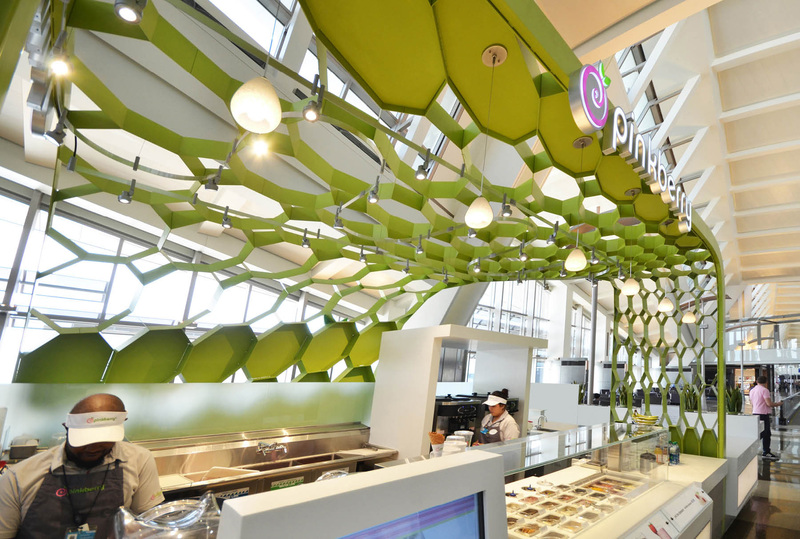 The Pinkberry canopy at Los Angeles International Airport uses an organic, cellular structure and vivid color to accentuate branding and create a distinctive space within the larger terminal building. 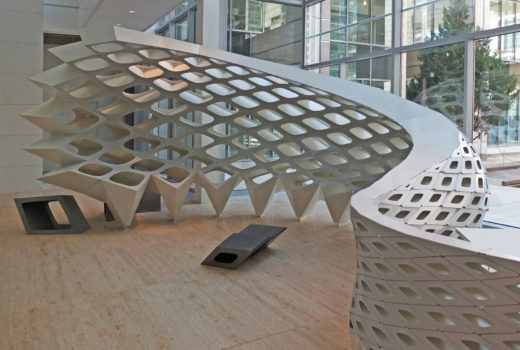 Constructed from uniquely formed planar surfaces and joined through 4,200 points of alignment, this structure demanded the creation of specialized algorithms and a revolutionary new manufacturing strategy. 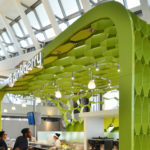 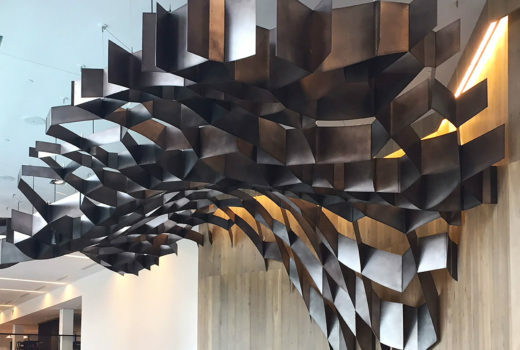 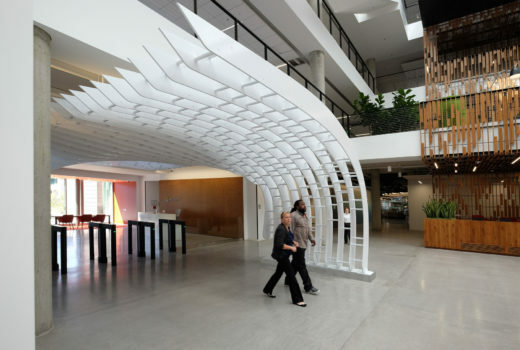 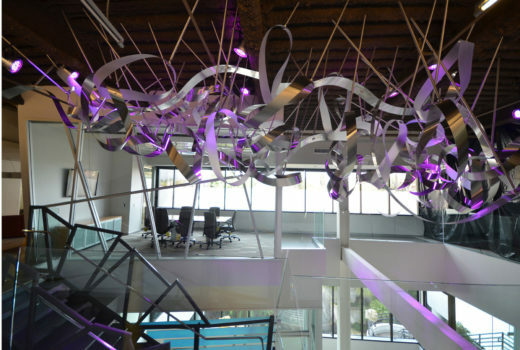 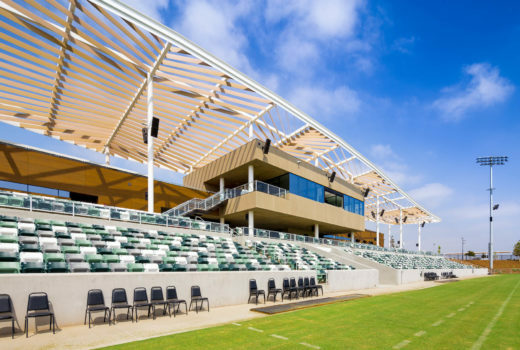 The result is a self-supporting canopy able to be prefabricated off site, shipped as a system and assembled in just a few days.